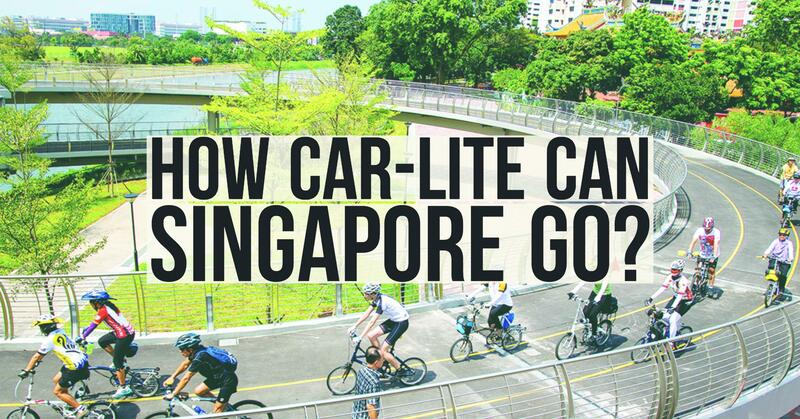 Can Car-Lite Plans Get S'poreans To Stop Buying Cars? Not Yet. 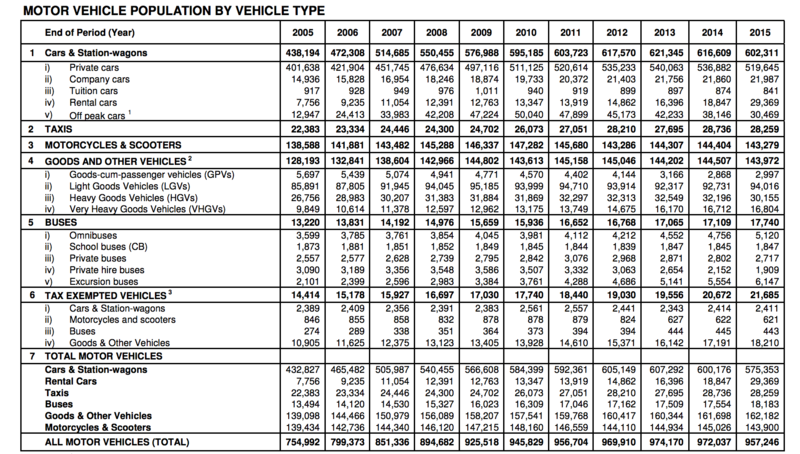 Can Current Car-Lite Initiatives Get More Singaporeans To Stop Buying Cars? Probably Not. “Car-lite” seems to be the new “Smart Nation”. As Singaporeans, we have been introduced to a variety of means the Government and its agencies are taking. From electric cars for all to use, to raising parking costs, ongoing works to create a 150km long park connector for ‘seamless connectivity’ and monthly car-free Sundays, it’s clear that the current stance is that getting around in traditional fuel-guzzling cars are out; and using public transport, or environmentally-friendly alternatives like electric cars are in. Prices of the dreaded COE (Certificate of Entitlement) has been fluctuating in the past months, but still remains at a horrifying high of $52,301 for cars up to 1,600cc and $56,089 for those above that. The increasing presence of private-hire companies, such as Uber, has also played a part in keeping the prices as such. While the Land Transport Authority (LTA) bars taxi companies (like Comfort Delgro) from bidding in the COE exercise to keep premiums down, private-hire firms are not bound by these rules; so aspiring car owners, may the odds be in your favour. After getting the car, road tax, fuel costs (albeit being forecasted to decrease), ERP charges, season parking charges and maintenance costs are unforgiving ‘add-ons’ that only serve to remind drivers about the high costs of having a personal means of transport in Singapore. No wonder Singaporean drivers are always so angry. Why Are Singaporeans Still Buying Cars? 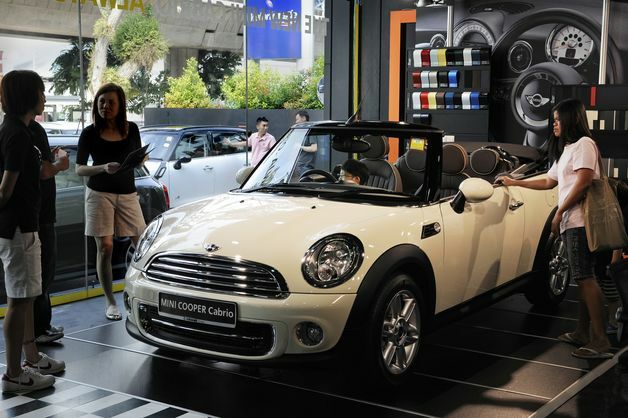 In spite of the high costs of car ownership, Singaporeans still love their cars. It is interesting to note that in spite of COE prices being on a rising trend from end 2011 to mid 2014 (there was an all-time high of $92,100 in January 2013), the number of cars owned seemed to be highest then. Singaporeans are well-known to be a lot that loves cheaper prices and free stuff, so by that thread, the numbers do not make sense at all. However, the key to unraveling the anomaly might just be linked to the high prices. Just like The American Dream, Singapore also has its own version of a lofty ideal to aspire towards – that is, the 5Cs. Comprising of Cash, Condominium, Car, Credit Card and Country Card membership, it was also a part-commentary on materialistic tendencies of Singaporeans. Since cars were (and still are) a luxury item, owning one is seen to help elevate the social standing of an individual – completely going against the steps taken to make car-ownership less attractive in the first place. How ‘Lite’ Can We Go? Renting electric cars? Check. Car pools? Check. How far the idea of car pooling and sharing would sit with Singaporeans is something we can only gauge when the current and upcoming initiatives are launched into full gear. Electric cars are also currently a relatively unpopular option for those who want to own cars, but this might also due to unfamiliarity to the models and misconception that charging stations are extremely scarce. Perhaps with the upcoming nation-wide initiatives, Singaporeans would not only get to experience more environmentally-friendly options, but even see that owning a car might be more to serve their pride than their actual traveling needs. However, the Government also needs to ensure that the alternative options offered are not only convenient, but also reliable.With our MRTs encountering a good amount of delays and the recent saga of jarring flaws appearing on our trains, Singaporeans are in general not as trusting in the systems as they need to be. A recent commentary on TODAY also stated that the conversion of Singapore into a cyclist-friendly environment doesn’t just lie in building park connectors, but also ensuring that a proper code of conduct be enforced on how roads are to be shared. There is much to be done, and mindsets to be changed, so till then, I’m still not giving up on my Mercedes-AMG CLA45 dreams.